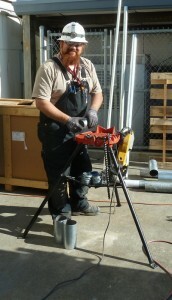 Former BME Apprentice Stan Chessar is now a EL01 journeyman electrician. Stan brought his valuable low voltage and alarm experience to BME two years ago. Since the company didn’t have any low voltage work he enrolled in the IEC of Washington Apprenticeship Program. Stan completed all of the requirements for his 01 license and is a welcome additional to the BME team. His experience with antenna systems, radios,Â alarm systems, andÂ CCTV will help BME continue to support the Navy with specialized project requirements. Stan is a great guy, despite being a 49ers fan.